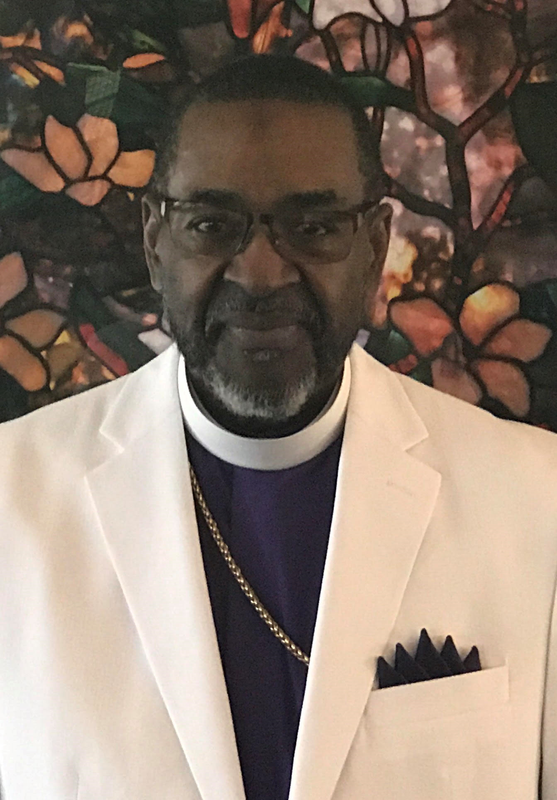 Bishop Robert G. Brown is the Presiding Prelate of Covenant Christian Church Alliance, Inc., and Senior Pastor of Zion Church Ministries, Inc, Everett, MA, where he has pastored for nearly forty (40) years. Bishop Brown is a native of Boston, MA, graduating from the Boston public school system and holds an undergraduate degree in Engineering from Wentworth Institute; a graduate degree from Boston University in Communications; and, a Masters of Religious Education from Gordon-Conwell Theological Seminary. He is the husband to Marcia (Robinson) Brown; father of three children, Dominique, Daniel and Giselle; and has five grandchildren. Bishop Brown and his family are former residents of Framingham and Marlboro, MA, and currently reside in Saugus, MA. No matter what his location of residence, Bishop Brown has always been an active person in community and social action affairs. Bishop Brown is a businessman, entrepreneur, administrator, pastor, teacher and servant leader. His experience as an entrepreneur and his business acumen has enabled him to provide leadership at a variety of levels. Bishop Brown is the founder of Covenant Christian Church Alliance, Inc., an association of resource empowerment and support for pastors and churches, providing educational, financial, and spiritual resources to Alliance churches and pastors. He is also the founder and CEO of RGB Ministries, LLC, a ministry focused on education, training, and motivation or the work of evangelism, and RGB World Enterprises, Inc., a media and technology resource consulting ministry. Bishop Brown is the President of the Covenant Christian Bible Institute and teaches in the Institute, as well. He is the Chaplain of the Everett Police Department, a member of the Governing Board of Eagle Bank, and on the Board of Directors for Portal to Hope. Bishop Brown is a past President of the National Baptist Congress of Christian Education of the National Baptist Convention, USA, Inc., past President of the Baptist Ministers Conference of Boston & Vicinity and past President of the United Baptist Convention of MA, RI & NH. He is a former Executive Board Member of the Board of Evangelism of the National Baptist Convention, USA, Inc., past Vice-President-at-Large and Public Relations Director of the New England Missionary Baptist Convention. In addition to these offices, Bishop Brown holds many other memberships and offices, in higher education and church ministry. Bishop Brown has been instrumental in the life of Zion Church Ministries, equipping the membership to be a agent of evangelism and instruction to the City of Everett and the community-at-large. During his pastorate, Zion renovated its former church three times, and in 1998, relocated and purchased its present site. He has been the recipient of numerous awards to include the Metrowest Martin Luther King, Jr. Award, Boston Urban League award, Boston Branch of the NAACP award, MLK Service Recognition Award, and City of Everett Black History Month Award for Community Leadership. Bishop Brown is active and proactive in the Everett community's school affairs and social concerns. In response to the needs of the community, Zion Church Ministries provides ESL classes for non-English speaking people, after school tutoring, Community Dinners, an annual Community-In-Unity Block Party, Evangelism in the Park services, and other support services. Bishop Brown serves on the Mayor's Advisory Board and works with the Everett clergy. Bishop Brown has traveled extensively throughout the US and the world, preaching and teaching the Word of God. His travels have included Zaire, Senegal, Australia, China, France and South Africa. He has also led several trips to the Holy Land and Greece. Bishop Brown's emphasis in teaching and preaching has been in the fields of leadership and evangelism. He also presents and hosts training workshops, seminars and conferences. Bishop Brown's familiar testimony and favorite phrase is, "To God be the glory, for the great things He has done!"